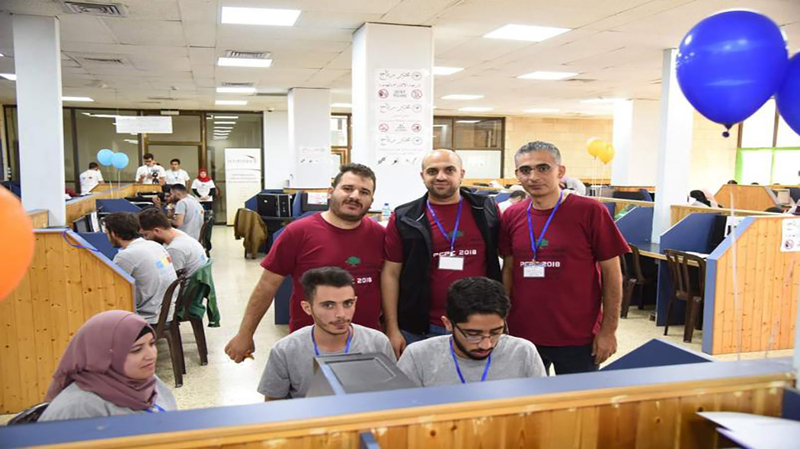 Six teams of computer science students from Birzeit University took leading places in the ACM Palestinian Collegiate Programming Contest, held on university campus on October 27-28, 2018. 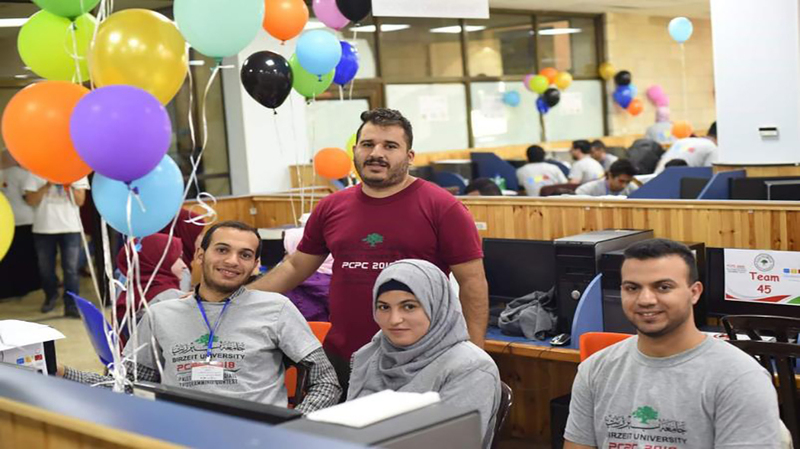 The contest, a branch of the ACM International Collegiate Programming Contest, pits participants from various Palestinian universities against each other in challenges that require the use of programming skills to solve real-life issues. This year, 34 teams of students - each composed of three students and a coach - took part in the contest. Participants have five hours to solve between eight to twelve programming problems, with the winners representing Palestine in the ACM Arab Collegiate Programming Contest, and then qualifying for the ACM International Collegiate Programming Contest. Birzeit University teams claimed the first, third, fourth, fifth, sixth, and ninth place in the contest, with a number of those teams qualifying for the Arab region competition. Mousa Irfa’ieh, ACM competition coordinator in Palestine, said the contest highlights the creativity and skills of Palestinian students, with universities sending the best of the best. “Usually, local and international software companies pay attention to the performance of the teams, especially in the Arab Collegiate Programming Contest, where giants such as Google and Amazon are known to have a presence,” Irfa’ieh remarked. Nariman Ammar, a professor of computer science at Birzeit University, noted that the contest relies not only on programming skills, but teamwork and team chemistry. “Algorithms are important, but teamwork is what makes or breaks the team,” she added. The competition comprised two days: October 27, when the teams spent the day training and familiarizing themselves with the contest rules and mechanisms, and October 28, when the actual competition took place. Jaser Sa’ed, acting dean of the Faculty of Engineering and Technology, highlighted the role of inter-university cooperation in his welcoming remarks addressed to the attending students and professors. “Such competitions encourage cooperation and communication between Palestinian universities and facilitate the transfer from purely academic efforts to a synthesis of theory and practice that drives innovation and creativity forward,” said Sa’ed. The International Collegiate Programming Contest, headquartered at Baylor University in Waco, Texas, is the foremost college-level programming competition. The competition has three tiers: local, regional, and international, with all universities eligible for entry into the competition.